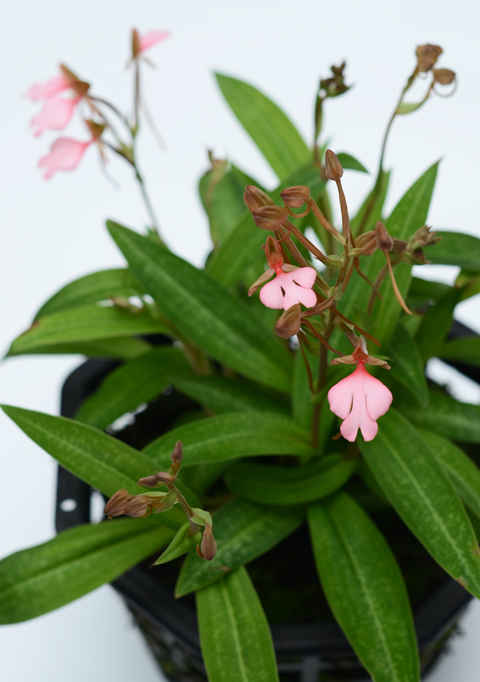 Only a handful of the 600 or so species of Habenaria are in cultivation. Habenaria rhodocheila is one. 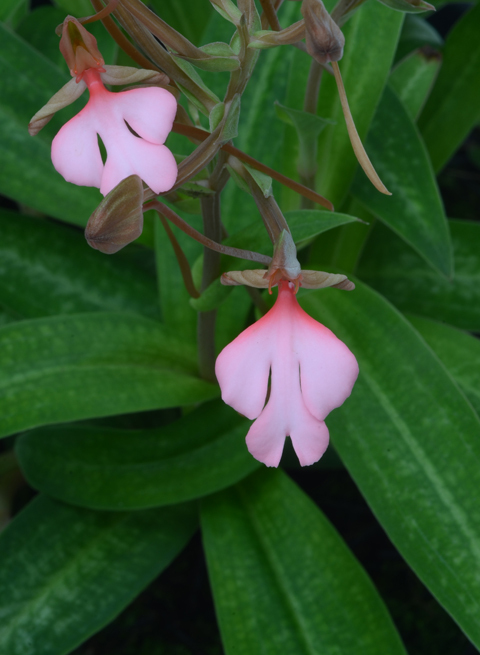 Habenaria medusa is another. Most Habenaria live happily obscure lives in the understory of forests and in grasslands scattered across six continents. Few appear alongside cattleyas in the glossy pages of catalogs or websites. How come? It's the dormancy thing. Like many terrestrial orchids from seasonally dry habitats, Habenaria species drop their leaves and go dormant for a few months. And many growers, when offered a pot devoid of foliage, will hesitate. There is a tuber in there, right? Still? How often do I water a dormant tuber? And how much? As a potted plant grower, I have a deep appreciation for orchids that go dormant. No leaves for six months? Fine. No leaves means no scale. Infrequent watering? No problem. I'm gathering all my Habenaria pots together and sticking a great big sign in their midst: Let Us Dry Out! Then I go pay attention to their leafy relatives with scale. 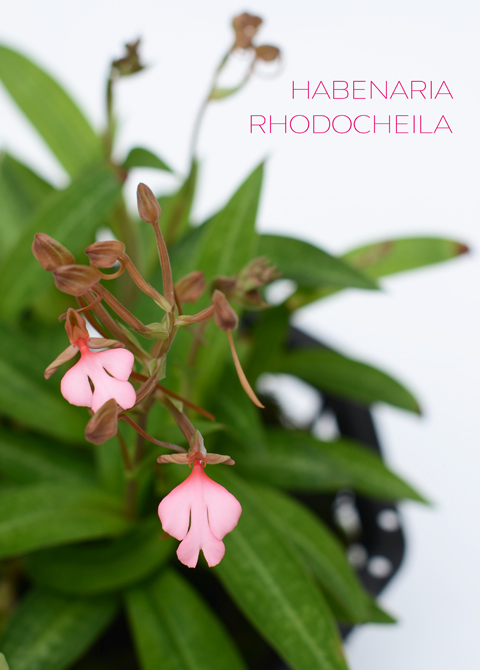 Habenaria rhodocheila is one of the prettiest orchids we grow. It glows pink. Every time it (or one of the other color variants) is offered for sale, there is a stampede among professional growers to be first in line. Don't be intimidated by the dormancy requirement; and check back tomorrow for the How to Grow tips.